Archduke Maximilian of Habsburg is proclaimed emperor of Mexico during the Maximilian Afair. RMS Titanic sets sail for its maiden voyage. Mexican revolutionary leader Emiliano Zapata and his bodyguards are shot to death after being lured to a meeting by army colonel Jesus Guajardo who collects a reward of 52,000 pesos and is promoted to the rank of general. 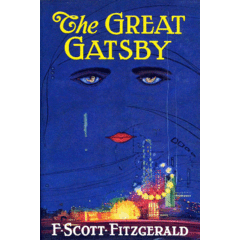 F. Scott Fitzgerald's novel The Great Gatsby is published. Writer Paul Theroux (The Mosquito Coast) born in Medford, Massachusetts. The first colour feature film in 3-D, The House of Wax, opens at New York City's Paramount Theater. Stuart Sutcliffe, bass player with the (Silver) Beatles, dies of a brain hemorrhage, in Hamburg, Germany. The submarine USS Thresher is lost at sea, with all hands.